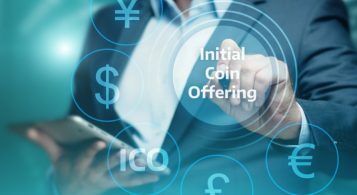 This article helps to find out more about the essence and origin of stablecoins, how they are categorized, and what are the most famous at present. What is One of the Main Cryptocurrency Problems? When the first cryptocurrency, Bitcoin, appeared, it was initially designed as a form of digital cash which could be used to purchase real-world goods and services. What is the Essence of Stablecoins? What is peculiar about Stablecoins backed by other Cryptocurrencies? What is an Algorithmic Stablecoin? But then one of its biggest flaws came out, which became a real problem for almost all cryptocurrencies,- it’s volatility. And this fact actually wasn’t described in Bitcoin’s white paper. Much later appeared a new class of crypto currencies, called stablecoins. And in 2018 they became probably the “hottest topic” discussed in crypto world. So what are the stablecoins? Why they became so popular now? Stablecoins are a special type of cryptocurrencies which are primarily designed in such a way that their market price would be relatively stable, so their purchasing power should be also very stable. They promise that their token will trade at a fixed value. How these cryptocurrencies preserve low volatility rate? Because they are backed by the real-world assets. Today we have rather wide range of options. It may be gold or US-dollar or some other fiat currency. 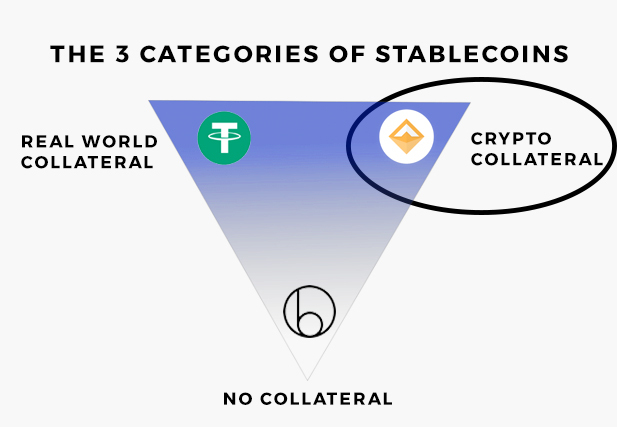 One of the most obvious choices is fiat backed stablecoins. One of the eldest and most popular is Tether. One Tether is equal to one US dollar and vice versa. It’s a Stable Currency. Tether converts cash into digital currency, to anchor or tether the value to the price of national currencies like the US dollar, the Euro, and the Yen. And it is 100% Backed. Every tether is always backed 1-to-1, by traditional currency held in our reserves. So 1 USD₮ is always equivalent to 1 USD. Sounds good and it is used widely, but recently Tether has fallen by 5% in price, despite being “stable”. Also recently academics at the University of Texas published a paper which describes that Tether was used last year to manipulate the price of Bitcoin, making its bull run to $20,000 in December. It claims that Bitfinex used Tether to buy Bitcoin at times of low demand and increase the price. 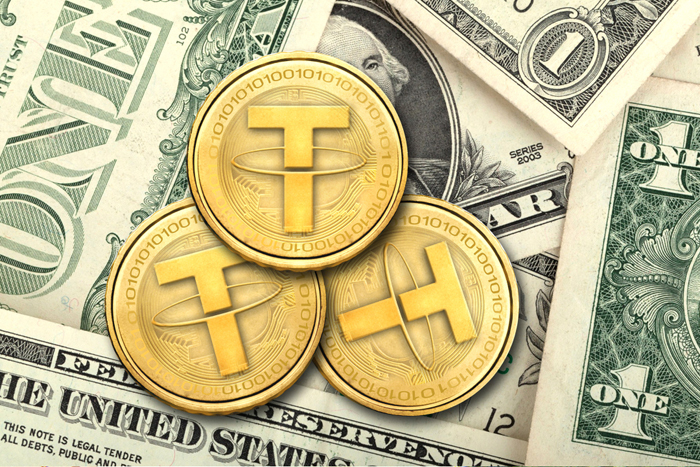 And also rumors have been circulating that Tether does not have the US-dollar reserves to back it up. The company behind Tether and Bitfinex denied such allegations. And still their auditing standards are very questionable. Now Tether company claims to have $1.8 billion after a serious restriction of Tether in circulation. Another big release this year has been True USD by TrustToken (TUSD) — it’s apparently a better designed and more transparent version of more famous Tether. (USDT). TrueUSD is currently running at a market cap of about $171 million and an average daily volume around $26 million. This is according to data taken from CoinMarketCap. This token is built on the platform TrustToken, and its reserves are saved on escrow-accounts. These accounts are claimed to be verified, and token holders are legally protected. This project currently cooperates with the biggest US law firms, such as Cooley and WilmerHale, this is according to Medium.com. Meanwhile, Winklevoss-led cryptocurrency exchange Gemini got into stablecoins competition itself, launching its own USD-pegged crypto token, which is hotly debated now – called Gemini Dollar. 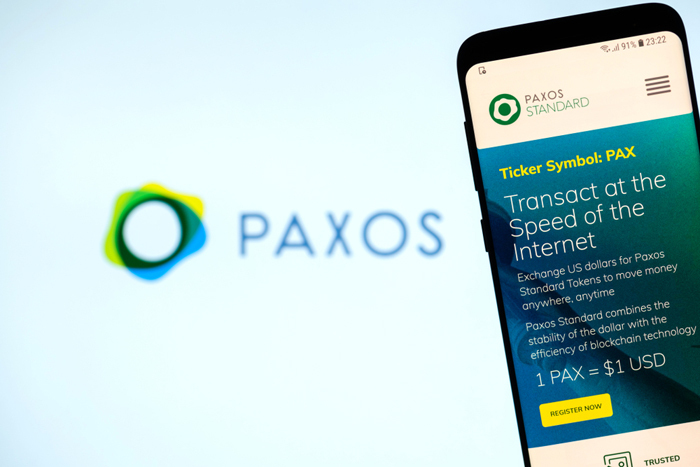 Startup Paxos launched PAX as one of the first stablecoins that was approved and backed by regulators such as the New York Department of Financial Services, according to Coindesk. And additional one, popular within this group of stablecoins, is USD coin, released by the cryptocurrency finance firm Circle. The rush for stablecoins began when these four – TUSD, USDC, GUS and PAX – were listed on OKEX and FCoin exchange. Huobi soon followed, saying it would list the same four stablecoins. Stablecoins may be backed by not only US-dollar, but also by gold. One of the most famous examples is Digix Gold Coin (DGX) – these are Ethereum-based tokens, (EIP-20 tokens), which allows them to be used in smart-contracts. Every DGX token is, reportedly, backed by 1 gram of 24 karat gold. Another type of stablecoins are backed by cryptocurrencies. These stablecoins are backed by other cryptocurrency reserves. It is used to avoid such central depository as banks. This system also helps to reach token price stability within decentralized system. In this system, stablecoin is sufficiently backed by a collateral, so it may cover any price fluctuation of the reserved cryptocurrency. For example, 1 dollar worth of a stablecoin is backed by 2 dollars of a collateralized coin. So this reserved copy is worth 200% in case it considerably looses it’s value. losses it’s value. Among such examples is Dai. This token is pegged to the US dollar and is backed by Ethereum. Another example is BitUSD, which is backed by BitShares. Cryptocurrency BitShares uses its own net currency as a collateral. An additional type of stablecoin is one that is not backed by any reserves but instead it is controlled by an algorithm. So called algorithmic stablecoin (See on the picture 2, provided by Business Insider.) They use a method of seigniorage shares, or they are fee-backed, or hybrid. Among those are Basecoin, Saga and Basic. There are now over 50 stablecoins in the development phase globally. And more than half of them are currently operating. But still there are challenges which stablecoins are facing, scaling, stability and liquidity. Those stablecoins which will be able to meet these demands, are long to stay in the world of crypto, others will be just liquidated.